The manufacturer Carbon has announced the arrival of their new large-scale 3D printer, the L1. The L1 comes after the launch of their two previous printers, the M2 and M1. As a matter of fact, based on the same technology, it will however offer a build area more or less five times that of its second product, the M2. Therefore, ten times that of the M1. Carbon hopes to respond to demand from industrials in the market looking for high-volume production. Thanks to its two technologies, CLIP and Digital Light Synthesis, the American manufacturer has seduced more than one industry and is already in the hands of the two giants Adidas and Riddell. Actually, their two customers have already made use of the L1 Digital Light Synthesis technology. The leader in football gear, Riddell used the L1 to create customised helmet liners for select NFL players in the 2018 season. Additionally, Adidas produced 100,000 pairs of the Futurecraft 4D midsoles in 2018 and should expand production to millions in the coming years. 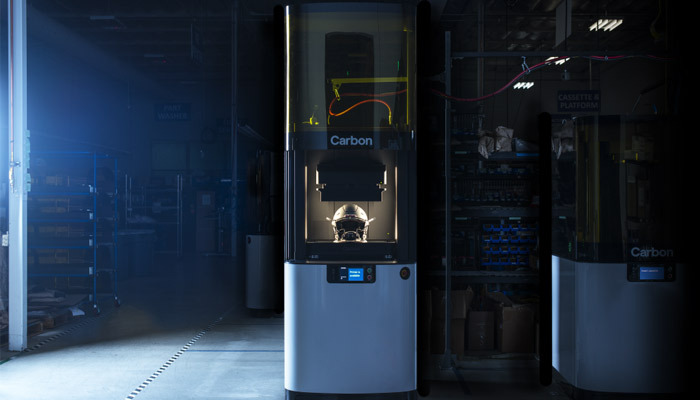 Alongside the announcement of the new machine, Carbon shared the general workflow of the L1 3D printer, which combines the manufacturer’s software, hardware and resin materials. 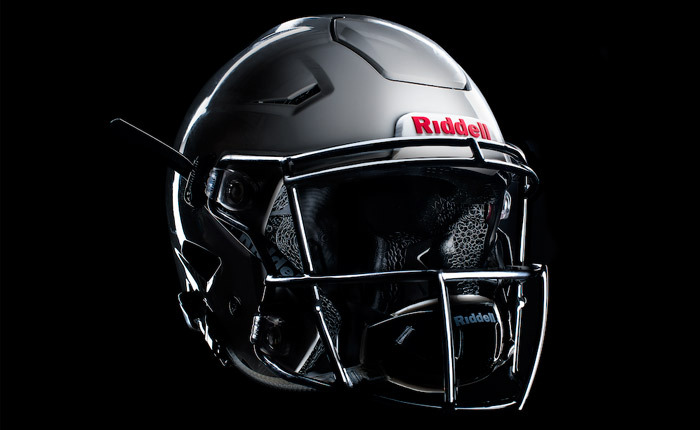 In the case of Riddell’s application of the L1 platform, their new Diamond helmet contains a customised helmet liner precisely made for the athlete’s head. 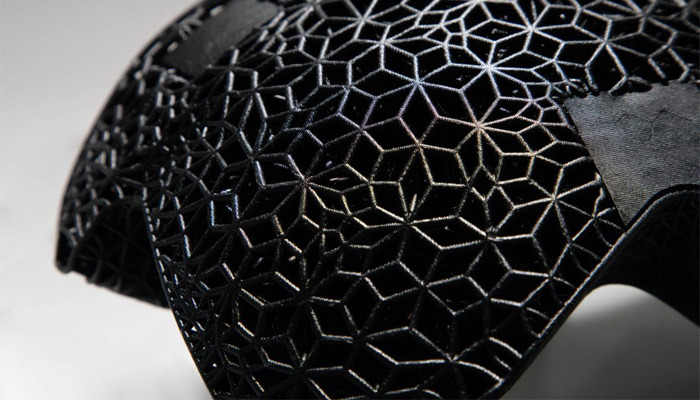 The core technology uses a custom designed, highly damping elastomer from Carbon in the form of a lattice structure to create the helmet liner. This structure was generated using the Carbon Lattice Engine software that uses physical simulation and optimisation techniques to maximise the performance of the structure. The customised helmets will be commercially available on a limited basis starting in 2019. You can find more information about the Carbon L1 technology and Riddell’s use HERE. What do you think the new Carbon L1 printer? Let us know in a comment on our Facebook and Twitter pages! Don’t forget to sign up for our free weekly Newsletter, with all the latest news in 3D printing delivered straight to your inbox!